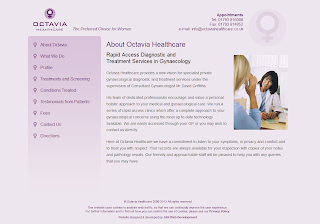 JAH Web Development is proud to announce the launch of a fresh new design for the Octavia Healthcare website, designed & developed by JAH WD. 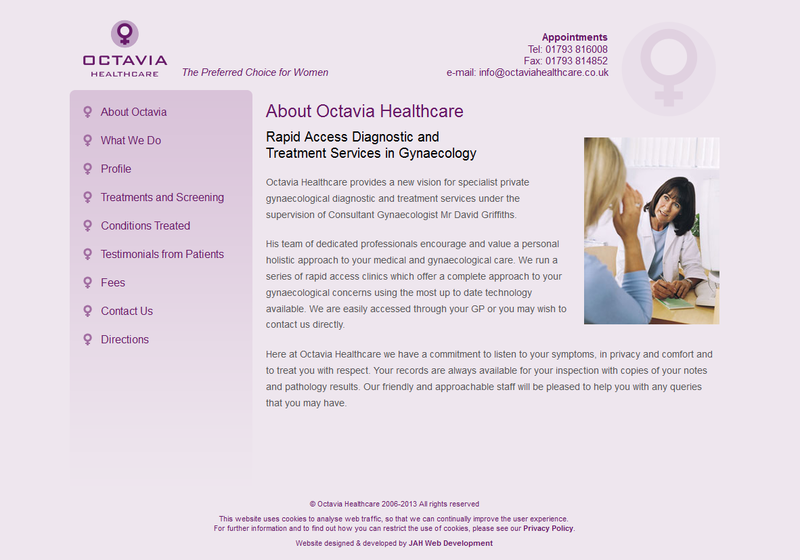 Octavia Healthcare provides rapid access gynaecological diagnostic and treatment services for a wide range of conditions and has an excellent track record from previous patients. 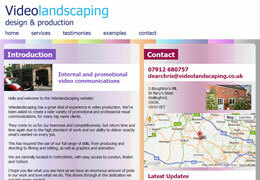 They are based at The Ridgeway Hospital in Wroughton and The Shalbourne Suite, The Great Western Hospital in Swindon. 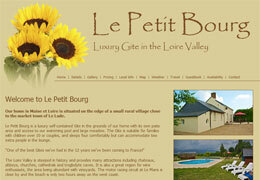 Services are provided under the supervision of consultant gynaecologist Mr David Griffiths. 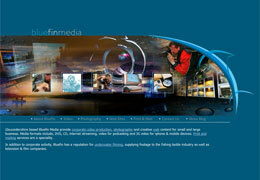 For more information about the services provided by Octavia Healthcare, please visit their website. 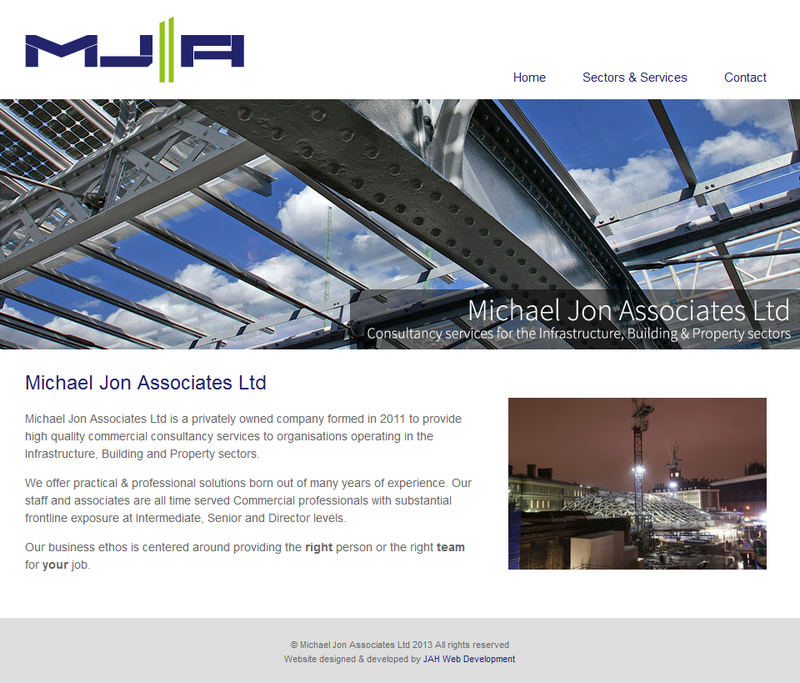 JAH Web Development is proud to announce the launch of the Michael Jon Associates Ltd website, designed & developed by JAH WD. Michael Jon Associates Ltd provides commercial & cost consultancy services to the rail, infrastructure, building and property sectors. 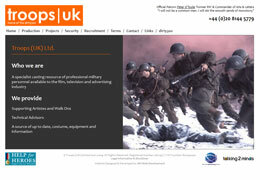 Other services including procurement, strategic leadership, dispute resolution, leadership training and mentoring. 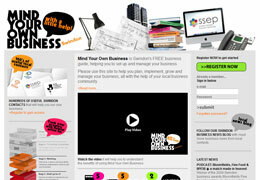 For more information about the services provided by Michael Jon Associates Ltd, please visit their website.